I got this recipe from Gordon Ramsay’s Youtube channel where he is very jerky, concise and maybe on some sort of stimulant. 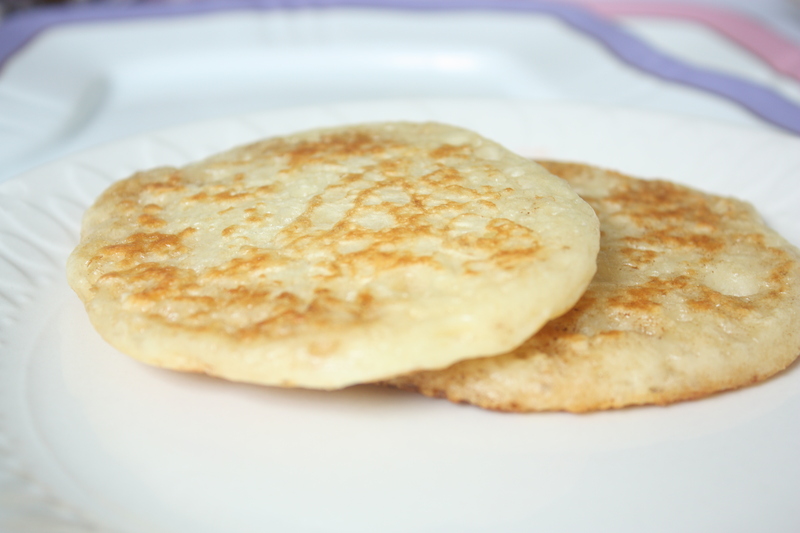 He makes a pan-sized crumpet, but you could also make these into regular-sized crumpets, which I did first, to test the batter (pictured below). 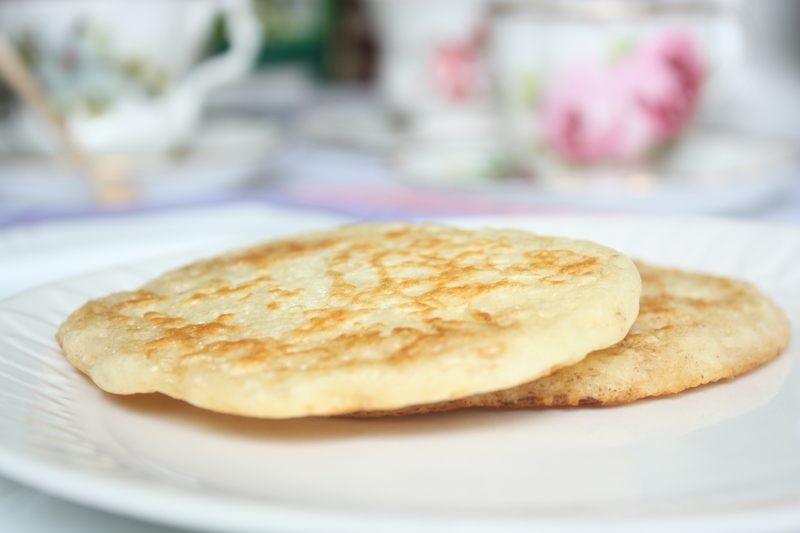 Crumpets have a spongy texture and a surface covered with tiny holes (which were once pockets of air) that are great for absorbing butter – they sort of look like little moons. 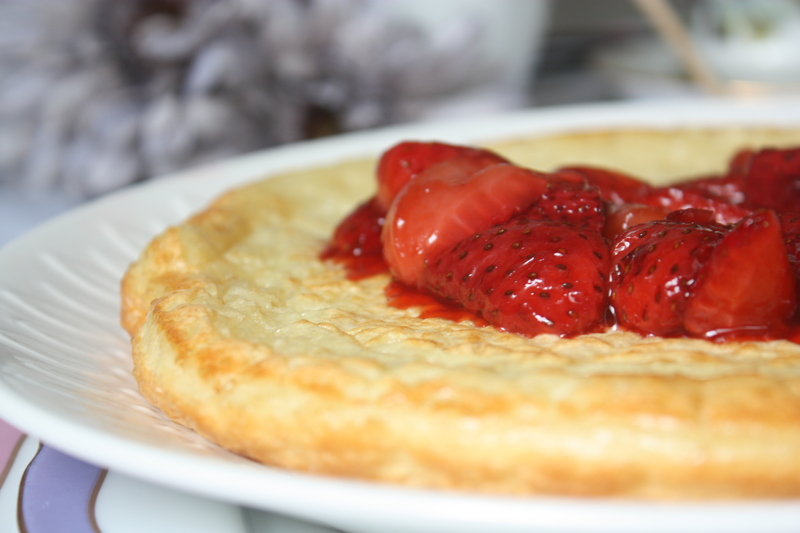 The strawberry reduction is a great topping, with a splash of balsamic vinegar to give it a little tartness. 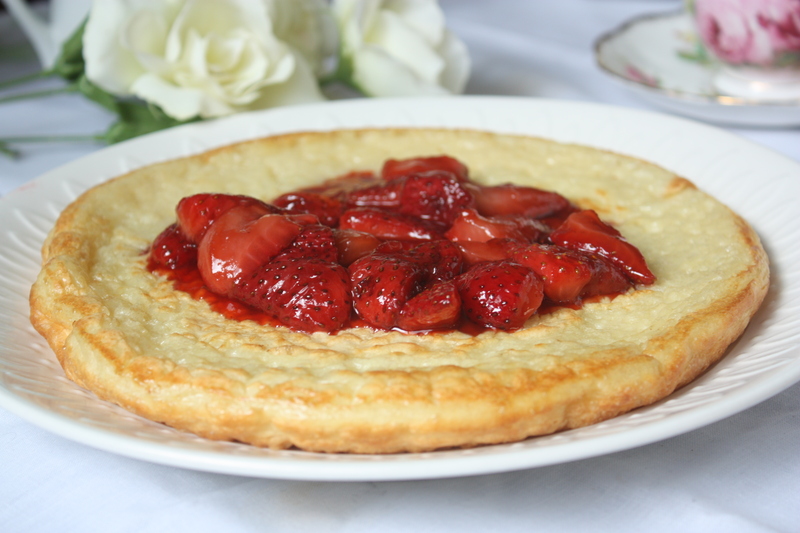 It’s really easy to prepare and preferable to using regular jam, which can be too sweet. I feel like I should say this on every post: if you don’t know how to bake or cook, you should give it a try. It’s not that hard, and you’ll be surprised at what you can accomplish. I still fail, a lot, but I also succeed, and come out with some really delicious food. It’s really nice not to have to run to the store when you have a craving for cookies, or pudding, or a cake, or all of the above. Dessert is always somewhere in my pantry. I just have to create it. 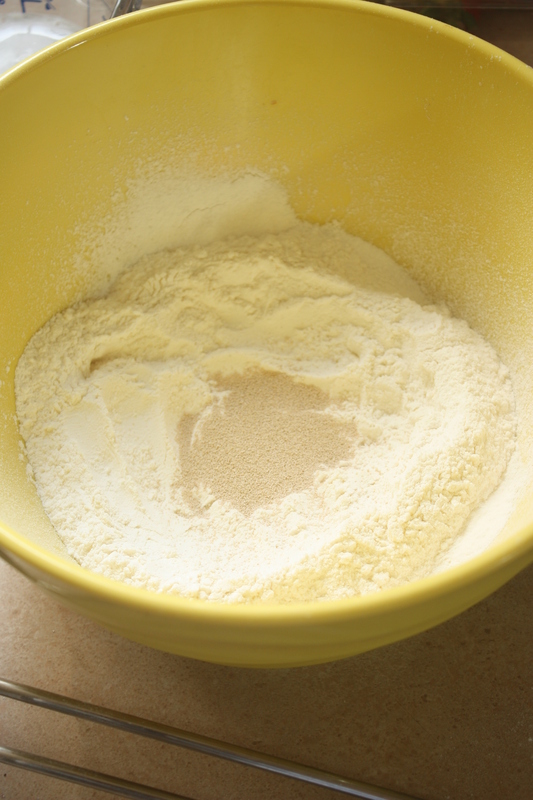 In a large mixing bowl sift flour, sugar, salt and baking soda. 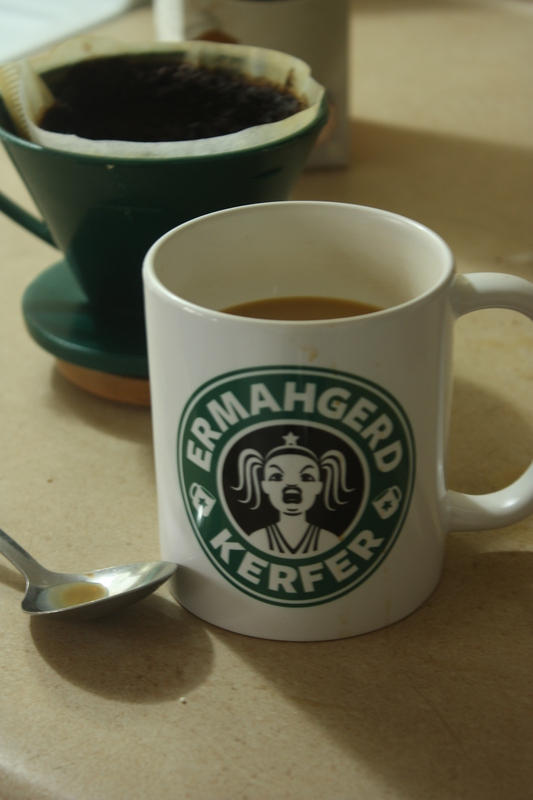 Create a well in the centre, and pour in the yeast. 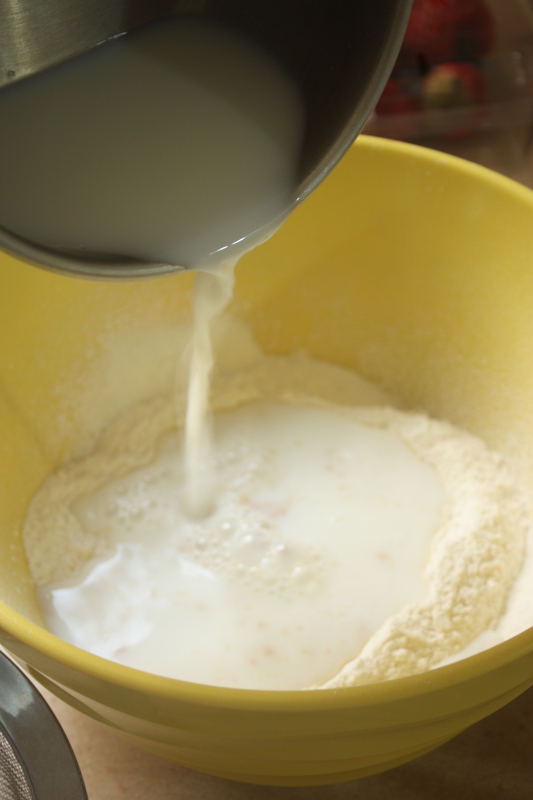 Pour in the warm milk/water mixture and whisk together until thick (you may need to add a little extra water if it is too thick – it should drip off of the whisk in ribbons). 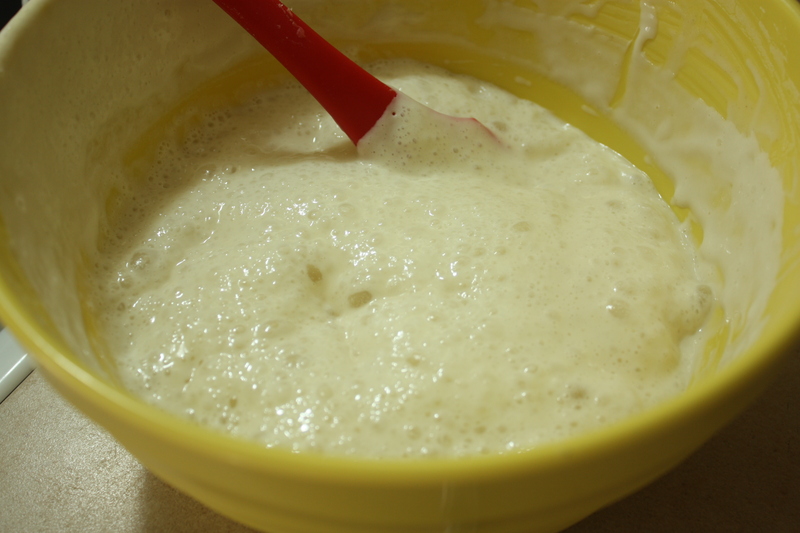 Continue whisking 1-2 minutes until smooth. Cover and let rise one hour, or until doubled in size. 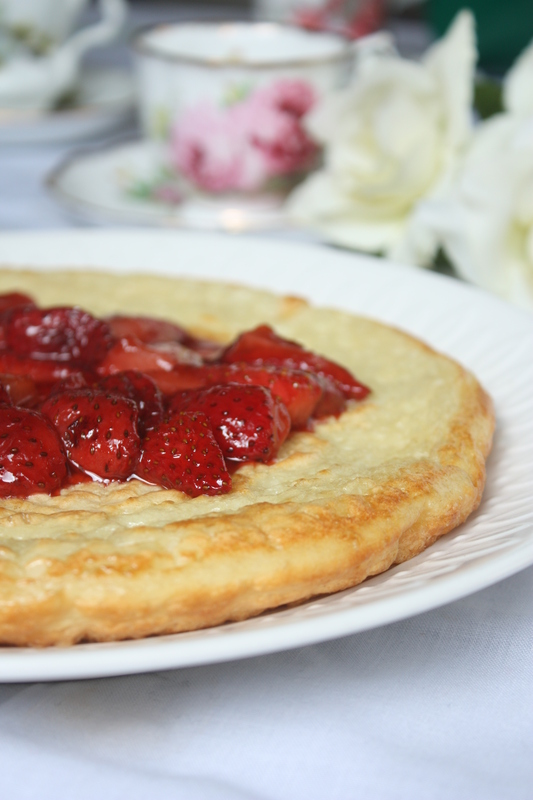 The batter will be spongy and full of air – be gentle! One hard bump could disturb all of the air bubbles. 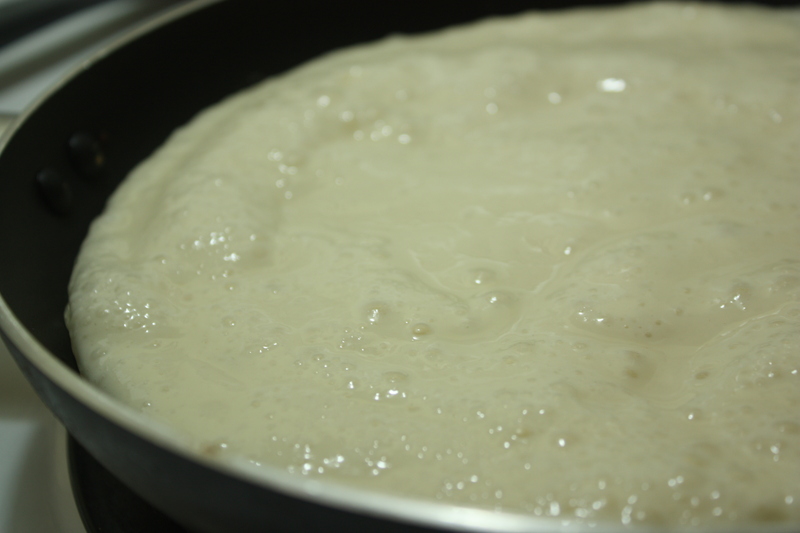 While the batter is rising, make the reduction. Heat 2 heaping tablespoons white sugar on medium heat for 2-3 minutes, until it turns golden and caramel-coloured (because it is literally caramel). 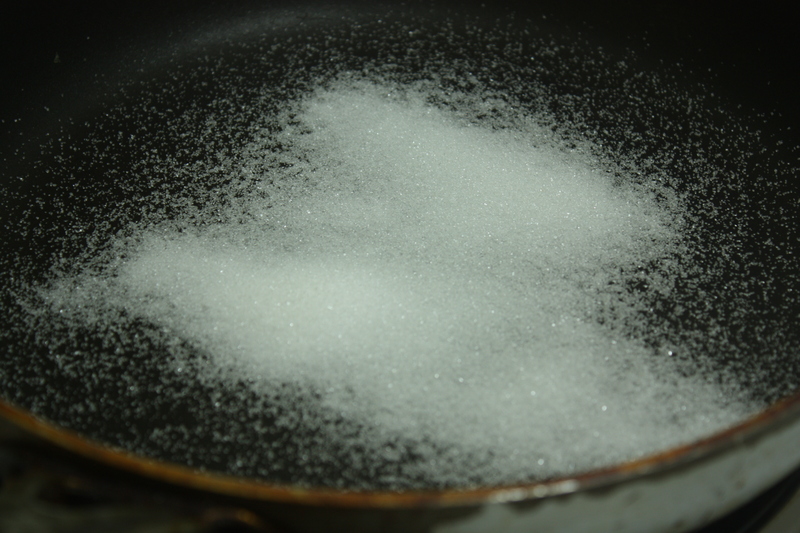 Be careful with melting sugar. 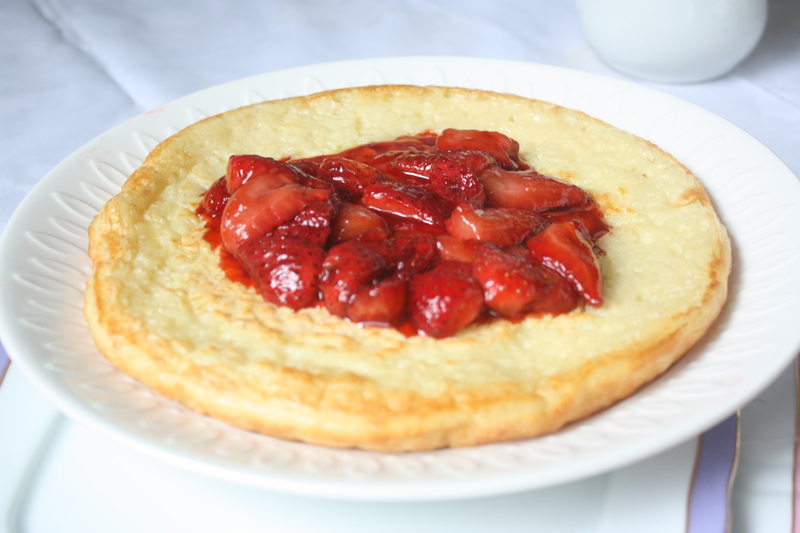 Turn the heat down to medium-low and add the strawberries. 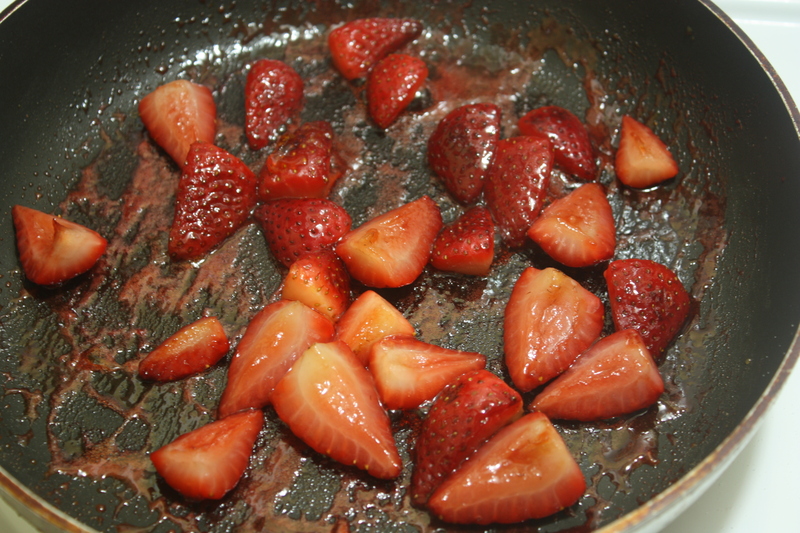 Cook strawberries for about 10 minutes until they have softened completely and released enough juices to create a sweet sizzurp. Add the lemon zest/juice and a drizzle of balsamic vinegar. 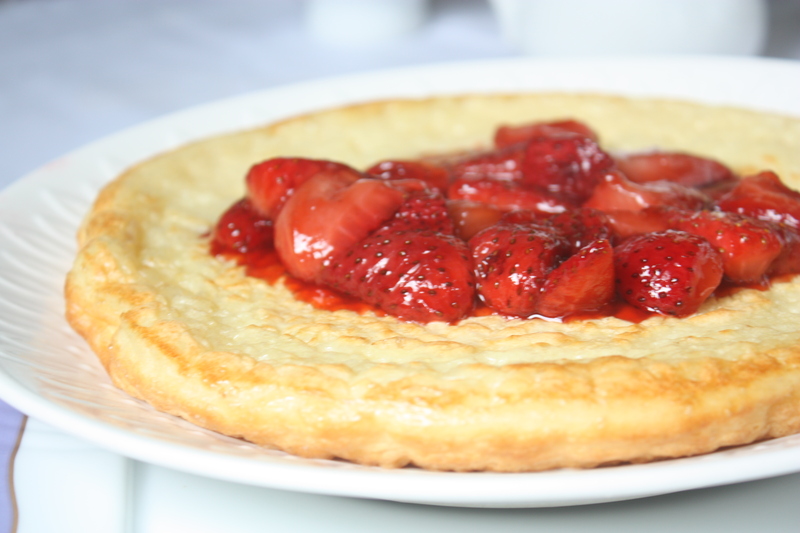 Continue to cook for 5–7 minutes until you’ve reached a thick jam consistency. 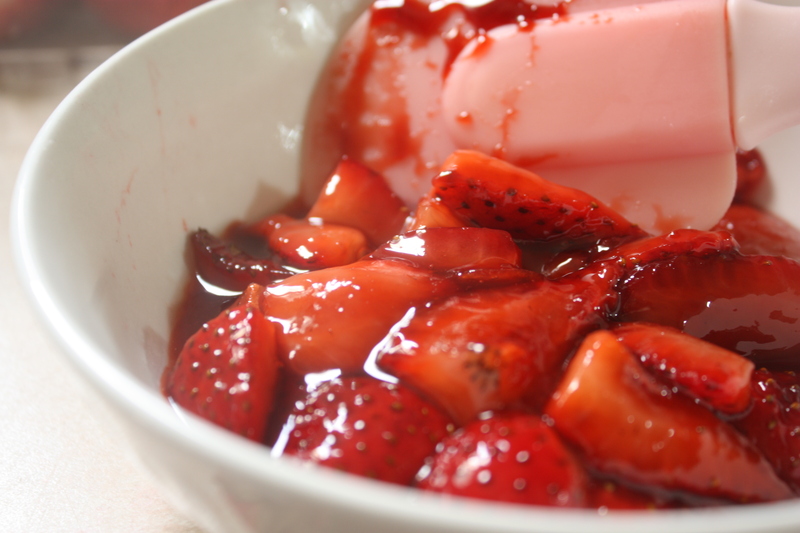 *You might notice that I did not use the full amount of strawberries called for, and I really really regret that. I thought it would be “too much”. What was I thinking?! 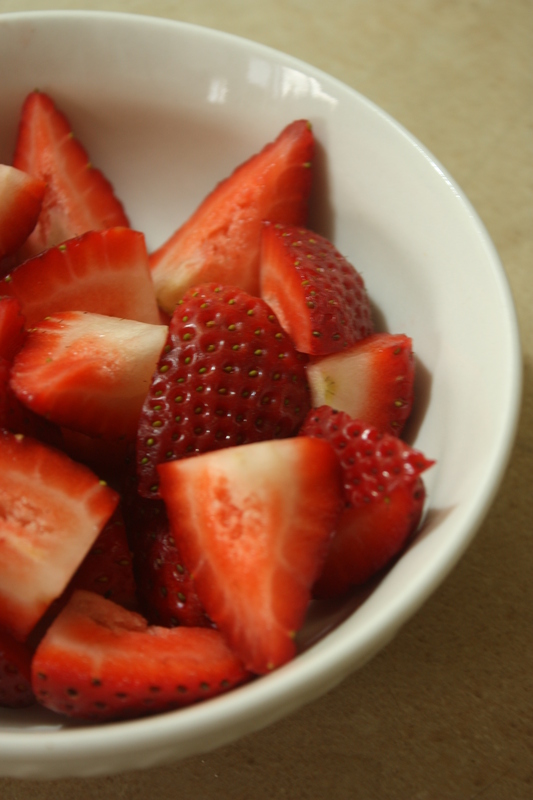 When the strawberries are cooked, scrape them into a bowl and set aside. They’ll thicken as they cool. Heat a large non-stick pan over medium heat and grease with butter. 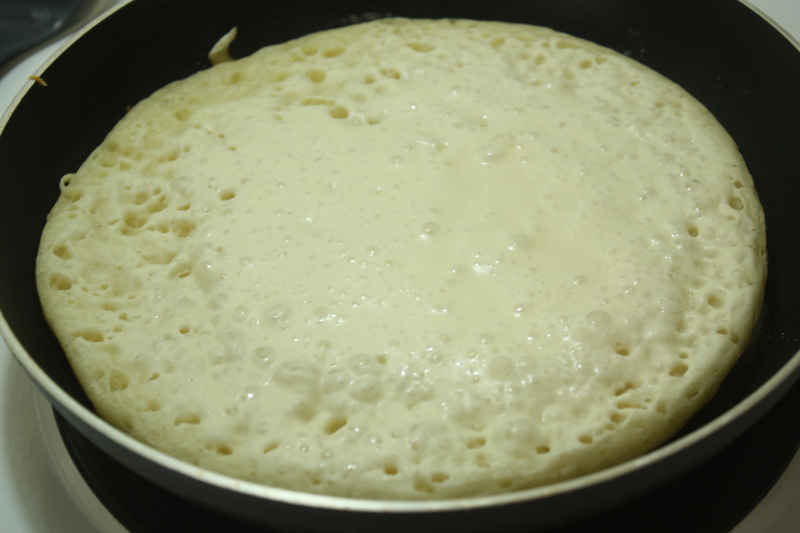 Stir the batter, and pour it all into the pan (you can reserve some of it if you want to make smaller crumpets). Reduce heat to low and cook for 10-15 minutes until the surface of the crumpet appears dry and is covered with air bubbles. 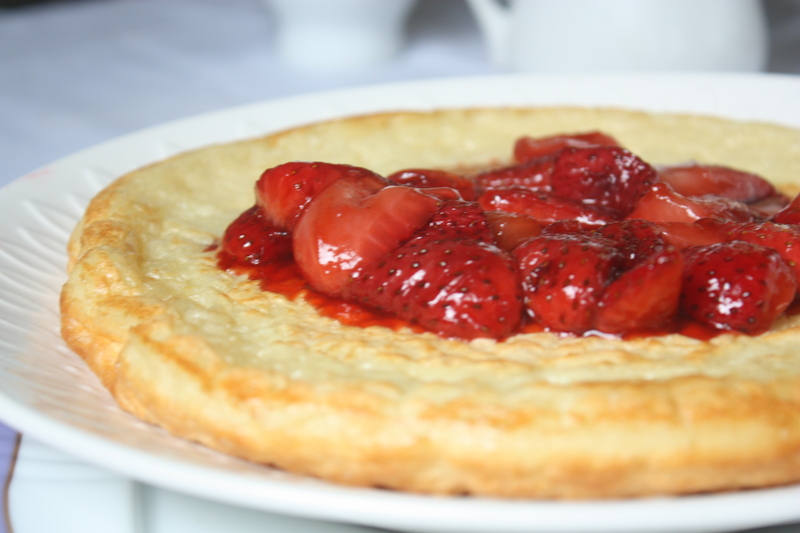 Drop a few small pieces of butter around the sides of the crumpet – they will melt and give it a nice golden edge. 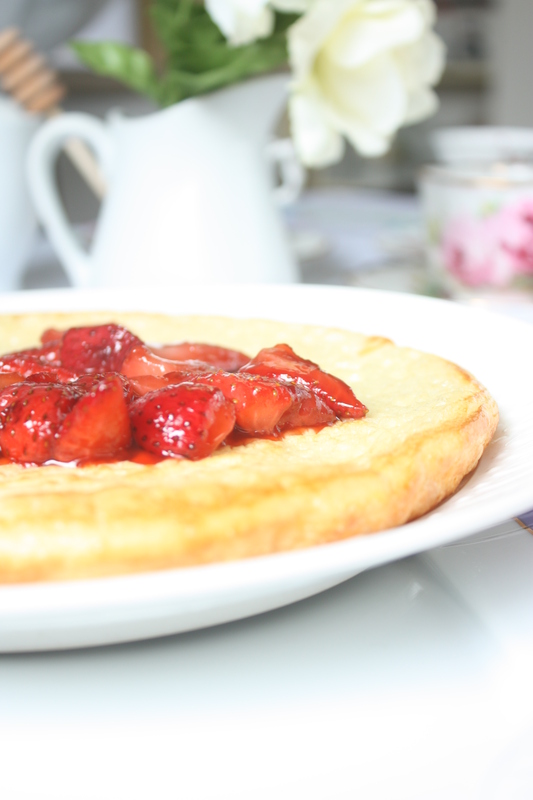 Flip the crumpet over and cook for another 1-2 minutes, until set. Try not to burn anything. I actually popped a lot of the air bubbles around the edges while trying to peek at the underside of the crumpet. Try not to do that. Just let it do its thing. 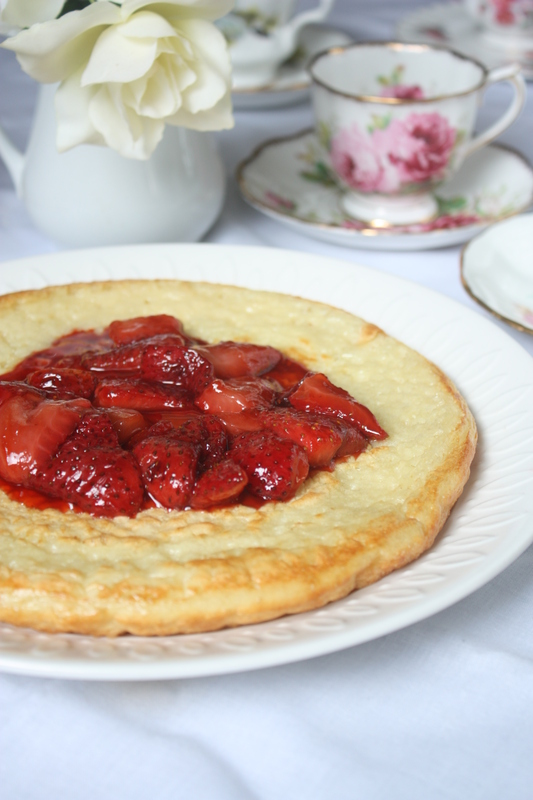 Top with strawberry reduction and serve with tea. Until next time, mate!